Back in the 90’s, role-playing games were ridiculously complicated for most – a mass of statistics and rules that only computer nerds and those in the know understood. 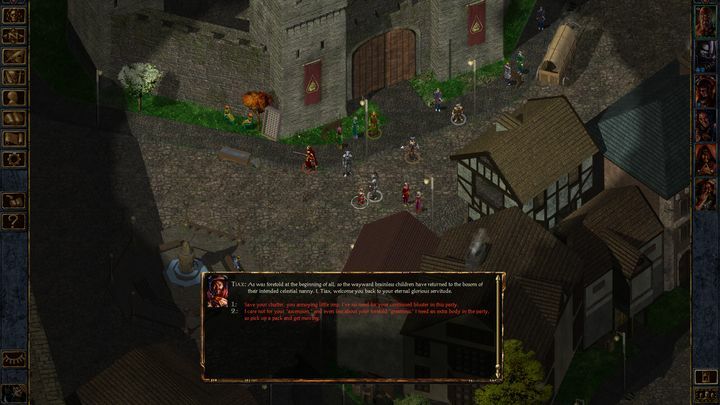 This is why Baldur’s Gate proved to be such a breath of fresh air. Here was an accessible, colourful RPG that managed to make the Forgotten Realms fantasy universe and those ridiculously complicated Advanced Dungeons and Dragons rules accessible for the masses. And what a game it was. Not only was the story of a young orphan raised in the fortress of Candlekeep engaging throughout, but all the little details such as the way your party members would wave their hands in the air before casting a spell, to the spell animations themselves, and the orchestral score, were awesome too. Of course, looking at the game nowadays it’s easy to notice Bioware’s masterpiece doesn’t have the best script in the world (some of the dialogue is quite risible actually), and the isometric graphics look quite dated by today’s standards. But still, this is a bona fide classic from 1998 that influenced almost every single RPG that came afterwards, and definitely deserves its place in any video game fan’s library. Release date: November 30, 1998. Available on PC, iOS, Android and others.